Trader Sam’s Grog Grotto – An Orlando version of Trader Sam’s Enchanted Tiki Bar at Disneyland, this drinking destination features some new signature drinks and tiki mugs. ‘Ohana Restaurant, Disney World – Large tikis can be found all over this main restaurant at Disney World’s Polynesian Village Resort, which hosts character breakfasts and all-you-can-eat barbecue dinners. 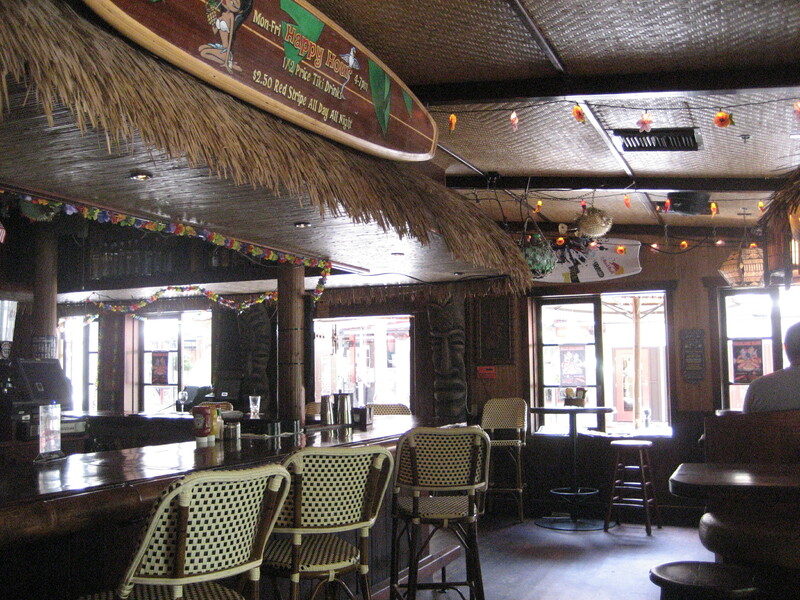 Tambu Lounge, Disney World – This lounge next to ‘Ohana restaurant is famous for its Lapu Lapu drink served in a pineapple. Waitiki Retro Tiki Lounge – Downtown Orlando tiki bar with bamboo, glass floats, thatched huts, Mai Tiki pieces and modern tiki art. Dole Whip with Rum at Disney’s Animal Kingdom – This is the one place at Walt Disney World where you can find Dole Whip with rum all through the year. The Enchanted Tiki Room, Disney World – For about a decade, the tiki room had been “under new management” with the addition of Iago from “Aladdin” and Zazu from “The Lion King,” but after a fire at the attraction, Disney World restored the show to its original version. Disney’s Polynesian Village Resort, Orlando – One of the premier hotels at Disney World, The Poly encompasses the Great Ceremonial House (aka the lobby, which now features an impressive display of fish float lanterns), “village longhouses” for accommodations, and a sandy beach. The resort is currently undergoing extensive renovations. Captain Cook’s, Disney World – This quick-service restaurant at Disney’s Polynesian Village Resort has an updated, retro-style interior featuring island-inspired travel posters. The pulled pork nachos are an absolute must! Boutiki at Disney World’s Polynesian Resort – Aside from a few ugly tikis for decoration, this is a great gift shop with a bunch of merchandise tailored to the Polynesian Resort, like prints, mugs and t-shirts. Tiki Island Volcano Golf, Orlando – Venture back to the days when dinosaurs (and tikis) ruled the earth…and by earth I mean a mini golf course.